It is an old joke, but one worth retelling. A certain minister was met with an odd proposal. The brother of a rather notorious sinner came into his office one day and offered the minister a sizable gift to the church’s building program. It seems his brother had just died, and he was willing to give the money to the church in his memory, but only if… during the funeral… the minister was willing to call him a saint. After some thought, the minister finally agreed. We laugh at that joke because we have all been in funerals of those with a dubious reputation… and have listened with embarrassment as family members and friends spoke of their character as though they were little Billy Grahams. But truth be told, there is a lot of truth that we would like not to be told at our own funerals. We want to be remembered for our good. 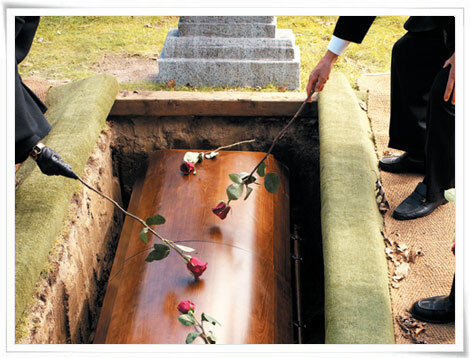 While reading Psalm 25, I got to thinking: What if God were to speak a eulogy at my funeral… what would HE say about me? This is a bold request, but one–that in Christ— He has granted. This is seen in how some OT characters are spoken of in the NT – of Moses: “Now Moses was faithful in all His house as a servant… Hebrews 3:5; of Job – “You have heard of the endurance of Job…” (James 5:11); of Lot (!) – “and if He rescued righteous Lot…” (2 Peter 2:7). Did you hear that right? Moses, Job and Lot. Yes, Moses. The one who not only didn’t want to be the deliverer, but wanted God to sent Aaron instead. Yes, that Moses, was called faithful. Yes, Job. The one who complained insistently that he was being treated unfairly and wanted to take God to court. Yes, that Job, was called patient in the NT. And Lot… LOT! The one who steadily moved toward sin, until he reached the point of having to flee from falling fire and brimstone. Yes, that Lot was called righteous in the NT. How can this be? And what will be spoken of you in that final day? You might think that your list of failures and sin will be an albatross to be worn by you throughout eternity. But the Scriptures teach, that when you are remembered, it will be for good. Because Jesus died for you… redeemed you… and paid the penalty of your sin for you… Because of Jesus… God will remember you for good! After listing a litany of sins, Paul writes this in his first letter to Corinth: “Such were some of you; but you were washed, but you were sanctified, but you were justified in the name of the Lord Jesus Christ and in the Spirit of our God.” (1 Cor. 6:11) [notice the highlighted verbs are in past tense]. There are days that I am like David… I am reflecting on my past and the things that I have done and I get this sense of dread. I think: “What must God (who sees and knows everything – including my thoughts and intentions)– what must He be thinking of me? Through the blood of Christ… I know that when He thinks of me… He thinks of me for good. Hallelujah! Thank you Jesus!